Marilyn Monroe: Stuffing Recipe with Ingredients: Bombshell Cooking! Marilyn Monroe’s famous stuffing recipe! A new book called “Fragments“ reveals a treasure trove of personal notes and diary entries from Hollywood film star Marilyn Monroe including her recipe for stuffing. 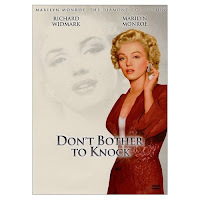 Read more about it here along with an MM photo slide show but find the Marilyn Monroe recipe below. Obviously the gentlemen I’ve met don’t prefer blonds but they all like a good meal. Since I happen to really enjoy cooking (especially romantic cooking) when I make the time for it, this is usually a good match. As soon as I get my oven repaired I look forward to trying this out. Food, glorious food. 2) Sour dough french bread – Soak in water and wring out then shred. 3) Giblet (liver heart) – Boil in water 5 – 10 minutes then chop. 4) One whole or half onion chop. 5) Parsley (spelled parsarly), 4 stalks of celery; Chop together. 6) Spices: Put in rosemary, thyme, bay leaf, oregano, poultry seasoning, salt, pepper. 7) One handful of grated Parmesan cheese. 8 ) One half pound of ground round, put in frying pan, brown, no oil, and mix. 9) One half cup or more of raisins plus walnuts, chestnuts, pine nuts, chopped nuts. 10) One or two hard boiled eggs, chopped. 12) Salt and pepper inside turkey or chicken. Outside the same plus butter! I am going to try this on Thanksgiving or Christmas this year. Have you already cooked Marilyn Monroe’s Stuffing Recipe? If so, let me know. You can hit me up on Twitter or Facebook. **PASSIONISTA UPDATE: Yay! I did it. Whoo hoo. Check out my adaptation & photos of actually cooking Marilyn Monroe’s stuffing recipe. Enjoy.